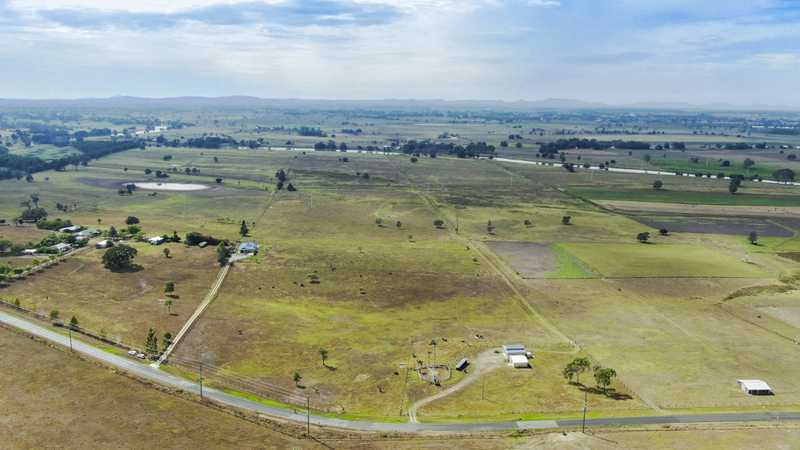 This exceptional 84.2 acre farm is situated in the dress circle of Grafton; with magnificent views over the Clarence Valley and just a 7km drive to the CBD. The village of Junction Hill is just down the road; enjoy a morning stroll to grab a fresh loaf from the bakery & the convenience of the general store just 2km away. The generous four bedroom, two bathroom brick home features two living areas and was built in 2005. The home takes full advantage of the natural contours of the land to appreciate the expanse of farmland & views of many local landmarks. About three-quarters of the farm has highly productive alluvial soils; and you’ll be relieved to know that there is a generous knoll at the frontage of the property which provides about 20 acres of flood-free land. The home, shedding and stockyards are all situated on this flood-free hill and there are numerous paddocks & a laneway to ensure your livestock are safe and sound during a flood. The two sheds provide ample room for all your toys, the first is a three bay barn-style shed with three roller doors and a cement floor – perfect for the tractor, caravan or boat (and did we mention there’s a boat ramp into the Clarence River just 4.2km away). The second shed has been utilised as a hay shed and is three bays wide with one roller door and one personnel door, along with a lean-to off the side. The 34.08 hectares is divided into 8 paddocks, fenced with split posts and barb/plain wire, along with a holding yard and laneway. The steel stockyards have a vet crush & headbale, and timber loading ramp, and there’s a substantial chook pen too. Town water is connected to the home & reticulated to stock troughs in the paddocks, and Alumy Creek forms the Eastern boundary of the property. This property is identified as Lot 152 in DP 1060917 and is in an RU1 (Primary Production) zoning, in the Clarence Valley Council LGA. A coastal change is calling and we have been given clear instructions to sell. Please phone JoJo Newby on 0417 690 637 to discuss. Inspection by appointment only.